Hello my crafty friends! I hope your all having a great week. I am so glad I found a little time today to get in my craft room. I really needed to unwind after a busy few weeks! I made a fun treat favor for the Peachy Keen Stamps Photo Challenge that is going on and just finished in the nick of time. The box is My Creative Time's Treat Slider Box Die along with the small panel with the punched border which is also in the die set. I wrapped some yummy polka dot ribbon I had in my stash and added a bow. The cute octopus is from PKSC18 June kit which I stamped and fussy cut around it. I colored the octopus with copics and then added the sweet face using the same set. I added rosy cheeks, freckles, glossy accents and popped this cutie up on the box. I tied on a fun bow with cappuccino bakers twine from My Craft Spot. I have a busy weekend planned...my son from NY is moving to LA to continue to pursue music (writing & recording). He will be home this weekend for his 10 yr reunion and then leaving for LA on Monday. We are hosting a pre-class reunion gathering this evening with a BBQ and the entertainment will be my son singing:) We are hoping for sunny skies and a great turn out! 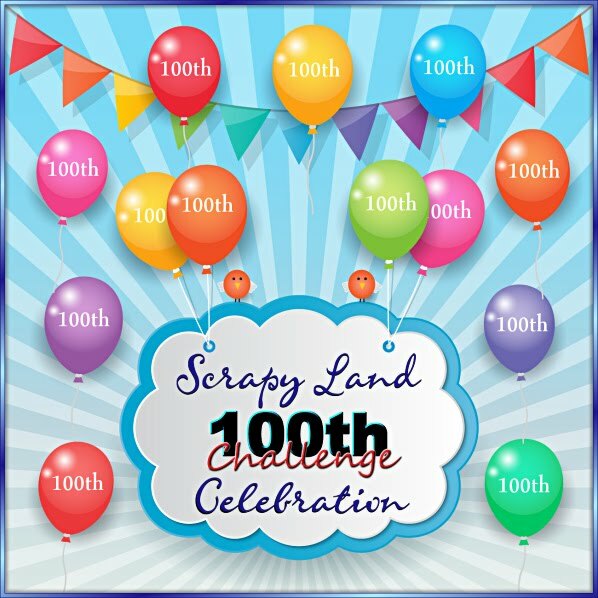 Well, today we have another Fun Friday challenge at Little Scrap Pieces and I am sad to say this will be my last DT project. As, I mentioned Monday, I am going to take a little time off. 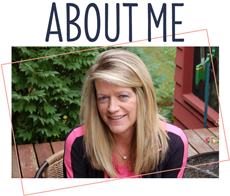 I will still be posting projects periodically, so please stop and for a visit. It has been an extremely busy time for me and I just need to take a back seat for a while. Thanks for all the sweet comments this week and your understanding! The challenge this week is: Christmas in July! I made these using My Creative Time's stitched lollipop die and the papers are scraps from Recollections-Jolly & Bright collection. I tied on a crinkle ribbon bow with ribbon from 3Girl Jam...colors: Mistletoe and Holly Berry. The twine is from my stash. The fun tag is My Creative Time's die from Teeny Tag Greeting set and the sentiment is from the All Around Christmas stamp set. Be sure to stop and visit the DT and see there fabulous Christmas projects:) We would love for you to join in the challenge! Thanks for stopping and have a GREAT weekend!! Thanks so much for having me Amy! I have a bridal shower to go to for my daughter's friend in a few weeks and I thought it would be fun to put together a little spa package for her to go along with her gift. So, I got a salon gift card and then added an assortment of fun things for inside the purse such as: nail polish, remover, file, finger nail clipper, cotton balls and hand cream. I saw this adorable cut file at the Silhouette Store and had to make it. It is so simple and I just love how it turned out and can see SO many possibilities. The papers are DCWV Lace & Linen collection. I embossed the pink layers with the divine swirls folder and did some inking with Tim Holtz victorian velvet distressing ink. I added a fun tag using My Craft Spot's Tiny Doilies Metal Dies and stamped the sentiments with the Stampin' Around Summer stamp set. The center flower was in my stash and the pennant is a Spellbinders Nested Lacey Pennants die which was stamped with My Craft Spot's Happily Ever After Stamp set. I finished by adding some pearls and pearl flourishes. Please be sure to stop over and check out what the amazing DT has created for you and come back and join in the challenge! We'd love to see what you create! Again, thanks so much Amy for having me!! Little Scrap Pieces Fun Friday Challenge-Pool Party! Hello Everyone and happy Friday! It has been extremely hot and humid in our neck of the woods. How about you? I know there is no other place than to be at the pool or lake on days like this. With that in mind, today is the start of another FUN Friday challenge at Little Scrap Pieces and the theme is: Pool Party! I made a fun beach bag that I found at the Silhouette store. Isn't it adorable? It went together so quickly. I added some inking with walnut stain and a little embossing using the spots & dots folder. The papers are from Bella Blvd-Go Fish collection. The little fishies are from the PKSC-18 June kit. I stamped them and then fussy cut them out and popped them on that bag. 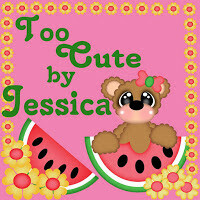 I stamped the cute faces, added a little white to the eyes and then added some glossy accents. I tied on a fun bow with bakers twine, added a little fishy and stamped the sentiment from the PKSC-18 June kit to finish the bag. Arya (my Granddaughter) has some little friends that come over to play in the pool so I created these bags for the next time they come over... they will be waiting for them!! I have enclosed little fishy crackers inside for a snack. Great for all the kiddo's at the pool, ha? Hi my crafty friends! 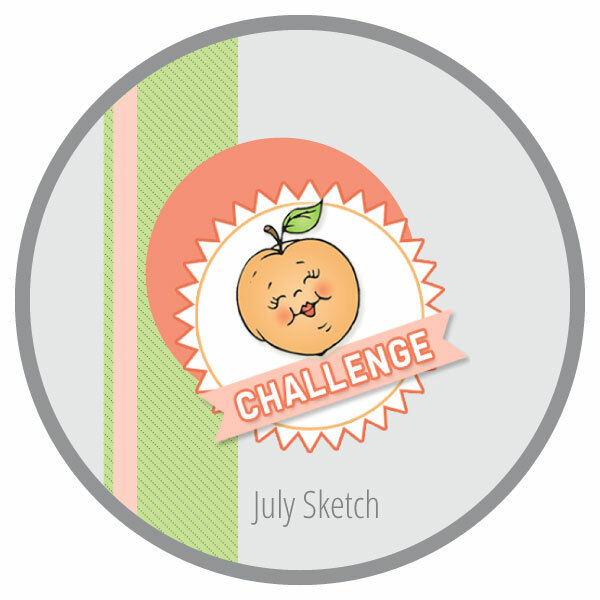 I had a little time in my craft room last night and wanted to join in the Peachy Keen Stamps Challenge 13-28::3-D Objects:: Wrap It In Ribbon. I whipped up a birthday treat package for my friends Granddaughter's birthday which is right around the corner. She loves ladybugs and thought this would be fun treat to give her along with her present! I cut the box at 5 1/4 from the Artiste cartridge. I embossed the outer wrap layer of the box with the divine swirls folder. The sentiment is stamped with the PKSC-13 Jan 2013 stamp kit. I cut a small strip and wrapped it with some fun SU stitched ribbon I had in my stash and tied a double bow. The cute ladybug is cut from the Birthday Bash cartridge at 2.64 using my gypsy to hide the face features. I stamped the face with the PK180 Erkle and Merkle stamp set and then added glossy accents to the eyes. I embossed some of the ladybug pieces with the swiss dots folder and then just a little faux stitching and doodling and popped her up on the box. To finish it up, I added a bag of yummy snickers...hope she likes it! Hello my crafty friends! I hope your having a great week so far! 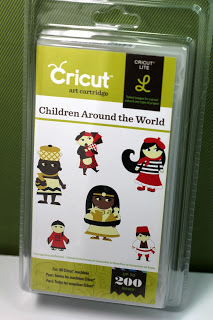 Today I have a gift box to share with you that I made using My Craft Spot's new Tasty Treats Stamp set. It is my design team day at My Craft Spot and thought I would make a project to go along with the F*U*N challenge going on this week which is: Wrap it Up! The box is cut at 7" from the TBBM2 cartridge. I cut the yummy cupcake at 4 1/4 from the Simply Charmed cartridge. I embossed the outer part of the cupcake liner with the swiss dots folder and added some sparkling ice glitter to the cherry. The adorable face is from the PKSC-18 June kit which I just adore. I also put the cupcake on a wobble....cute, ha? The tag is My Craft Spot's ticket's die which I stamped using the pattern blocks, tickets and tasty treats stamp sets. I clipped it on with a paper clip and then topped it off with a fun hot pink and milk chocolate bow. I added some fun skittles that I won from Chriss a couple weeks ago:) Thanks so much Chriss! I just love the great colors you sent me! Hello Everyone!!! 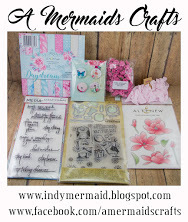 I am posting today as a guest designer for Craft It Up & Link It Up Linky Party hosted by Tara of Craftin Desert Divas! Every other Monday will mark the beginning of a new semi-weekly linky party and you could win fabulous prizes!! This linky party theme is "SUMMER". 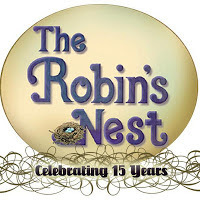 Anything to do with summer....Swimming, Vacation, Ice Cream, Softball, Sand, Water, Sunglasses, Flip Flops, Sun and whatever else you may come up with.The sponsor is The Robin's Nest & Too Cute by Jessica. The more you link up, the better chance you have to win. Visit Craftin Desert Divas for all the rules and to play along. My card base of my card is a Nesting Eyelet Squares die. I cut the next two layers and then rounded the edges. The water paper is from paper Pizazz~ Pool water. I cut the swimmer boy and all the layers at 5 1/4 from the Pack Your Bags cartridge. I embossed his shorts with the tiny bubbles folder and the mask with the swiss dots folder. The sentiment is My Creative Time ~Have Fun in the Sun stamp set. I added some bubbles using skittles from my friend, Carri at Abusybee. Be sure to pop over and link up your project at Craftin Desert Diva'sWet & Wild Linky Party! We would love to see your creations!!! Also, thanks again so much Tara for having me! Hi Everyone and happy Sunday!!! I hope you are all having a fantastic 4th of July weekend! Wow, what a week it's been! We have been busy taking in the parades, the fireworks, having friends and family over for BBQ's and enjoying spending time together. We also had company (BIL and family) that came from Arizona and took them around to do some sight seeing. We took the kids on a few rides, one called the Timber Twister...Oh my gosh, what a blast!! We also went to canal park (which is a beautiful place where the ships come in) and of course stopped at a fun outdoor restaurant. Sad to see them go but now it's time to get back to reality, lol! I found these cute mugs at WM and thought they would be fun to decorate up! I started with My Craft Spot's new 4" Doily Die and then layered on a vintage stitched label die from My Creative Time. I then followed with a scalloped and doily using My Craft Spot's Tiny Doilies Die set. The sentiment is stamped with My Creative Time's My Little Firecracker stamp set. I topped each of the mugs with a fun crinkle ribbon double bow using ribbon from my dear friend, Karen at Little Scrap Pieces. I also tied a Stars and Stripes twine bow and adhered little stars from My Craft Spot's new Small Alphabet Die set. Hope you enjoyed my project!